Fee's Little Craft Studio: Want a weekend full of amazing fun ? 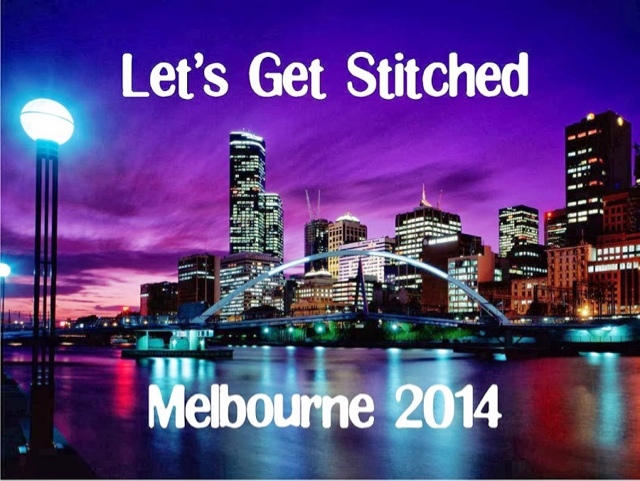 Lets Get Stitched will be held in Melbourne on the March long weekend in 2014. We would very much love for you to join us. Bookings are open now. There are 7 Designers this time including Joy Coey from Joypatch, Vicki Tucek from The Pickledish Patch, Dawn Hay from As Sweet as Cinnamon, Jenny Reynolds from Jenny of Elefantz, ME and 2 mystery designers. It is going to be soooo much fun. See you there with bells on, Fee! I'm coming. This is going to be so much fun!